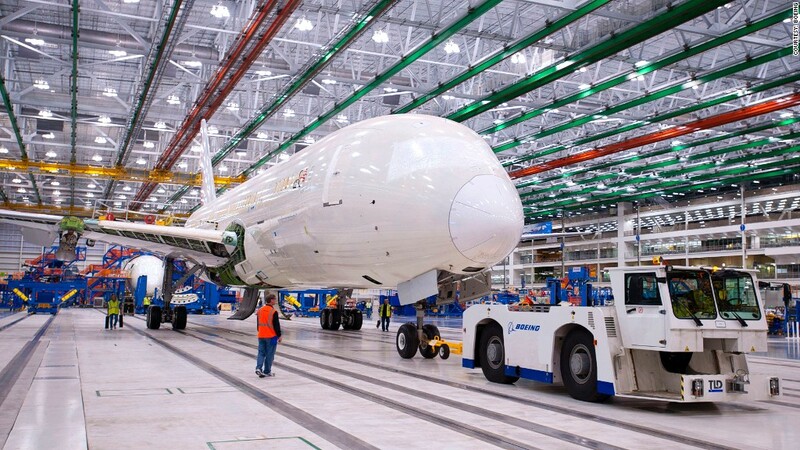 A Boeing 787 Dreamliner on an assembly line in Charleston, S.C., Some deliveries could be delayed by the government shutdown due to a lack of FAA inspectors. WASHINGTON (CNN) -- Airplane manufacturer Boeing has warned that the government shutdown could delay its ability to deliver its new planes to customers. That's because some of the commercial aircraft it makes must be certified by a Federal Aviation Administration inspector before it can be delivered. And those inspectors are among the 18,000 FAA employees who have been furloughed during the shut down. But the aircraft manufacturer likely won't slow down its production lines or furlough workers, even if that means it has to park its newly assembled planes rather than deliver them to customers. Boeing itself certifies some of the aircraft it makes. But FAA workers must certify some newer models, and those with more complicated engineering. "It depends if this is a short shut down or prolonged," Boeing Spokesman John Dern told CNN. "Short term we anticipate being able to continue with most of our business. Longer term there could be some delays." "Boeing will continue to maintain an open dialogue with its customers and suppliers to maintain normal operations in as many parts of the business as possible," Dern said in a statement. So far in 2013, Boeing has delivered 476 commercial aircraft. Some of the military aircraft that Boeing makes could also see delays, since the federal government itself is the customer. It is important to Boeing (BA) to keep its production lines working, both to avoid bottlenecks and to avoid problems for its suppliers. Earlier this year, all of its 787 Dreamliner jets were grounded because of a problem with the lithium batteries. That halted deliveries, but Boeing continue to build the innovative new jet at its normal pace, even as company and government investigators scrambled to find a fix for the problem. Once a solution was found, Boeing retrofitted the planes built during the grounding with the modification.